Its that time of year and although I LOVE summer, I just absolutely adore fall. 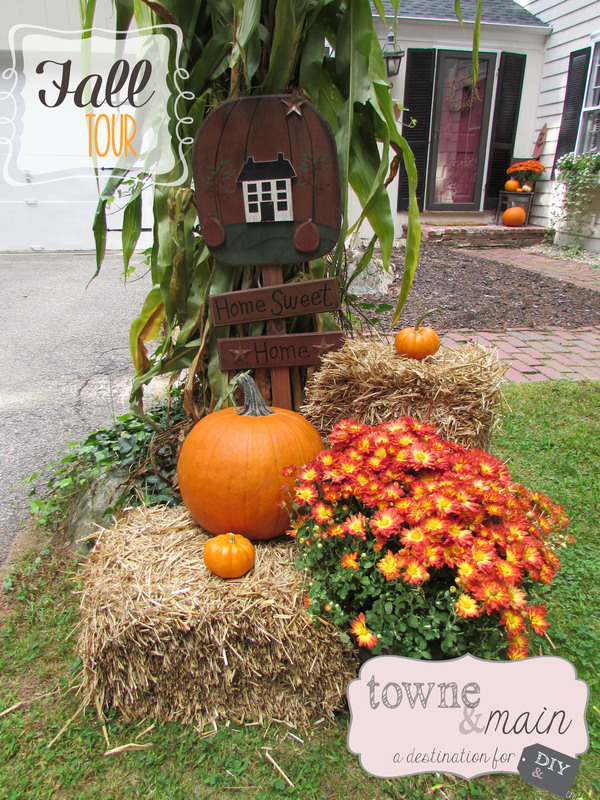 I love all the fall activates especially decorating. 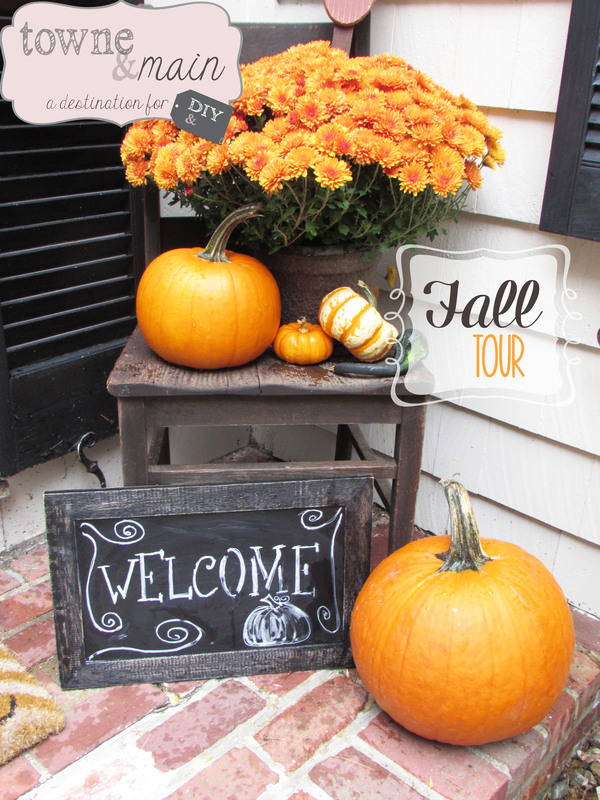 I look forward to all the upcoming holidays and fun fall activities with the kids. 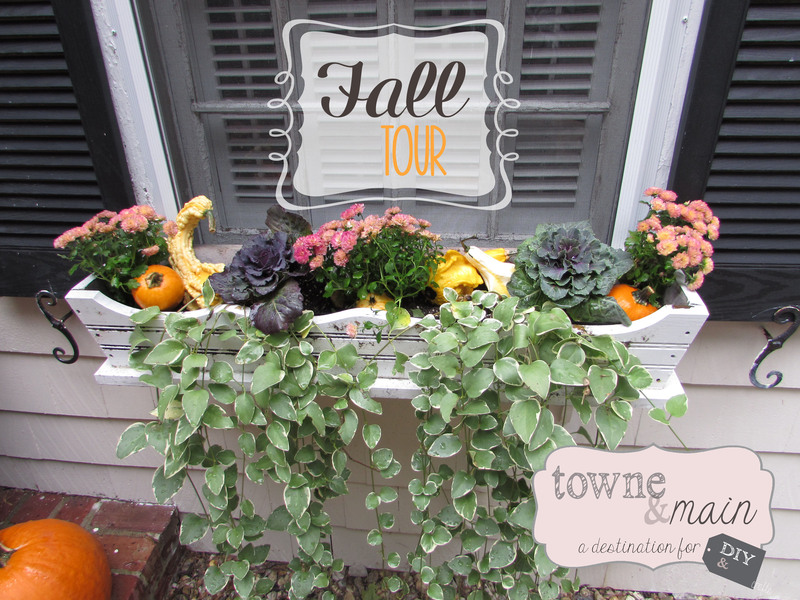 Here is a small fall tour of my outdoor decorations hope they inspire you. Indoor fall tour to come! Had fun with my little front stoop – found the chair on craigslist for $5.00 and as is was perfect! I had fun with some stenciling for the chalkboard welcome sign. Some corn stalks, pumpkins and a couple of bails of hay was all I needed to buy to dress up the lamp post in my driveway, I already had the fall stake from last year. I love window flower boxes! I only have 2, but I change them out frequently with the season or holiday. Here I got some small mums, kale and some gourds. The Ivy has been in the boxes since spring and lives through anything, so I kept it in the planters, it makes a great fill and spilling over feature.